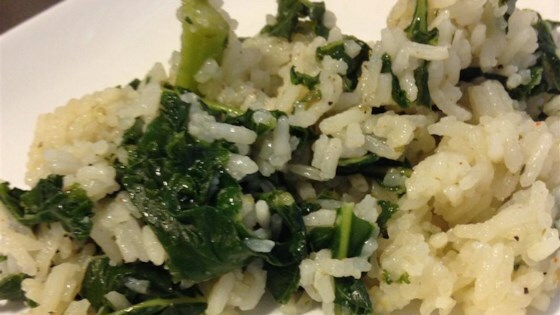 "This spicy rice recipe is a tasty way to use kale! Make it a meal by topping with beans." Stir kale and rice into the boiling broth mixture; return the broth to a boil, place a cover on the pot, reduce heat to low, and continue cooking at a simmer until the rice is cooked through and tender, 20 to 25 minutes. I omitted the salt and reduced the cayenne pepper to 1/4 teaspoon-- it was very good that way. way to salty. I took one bit and knew I hated it.